Dan Loeb's hedge fund firm Third Point LLC has just filed a 13D with the SEC signaling their activist investment in Yahoo! (YHOO). This is a brand new position for the hedge fund. Third Point started buying on August 8th and were buying as recently as September 7th. They now own 5.15% of the company with 65,000,000 shares. 45,000,000 of those shares are common stock where they have a cost basis of $12.7x. He's already up on his position, as shares currently trade around $14. Last week we noted how Third Point is outperforming, but had reduced exposure for four consecutive months. The other 20,000,000 shares Third Point owns are represented by call options. The majority of Loeb's call options are at the $12.50 strike price. He also bought $13 and $14 calls, though no expiration month was specified. Earlier we posted up Loeb's letter to Yahoo! which we recommend you read in full, as his letters are always classic. But in summary, Loeb desires a "reconstituted board with new directors who will bring fresh eyes, relevant industry experience and increased investor alignment to the table." Yahoo fired its CEO Carol Bartz two days ago, so a management shake-up is inevitable. Ironfire Capital's Eric Jackson suggests taking things a step further by breaking up the company into 3 segments. As to who could replace Bartz, he offers up Peter Chernin (former President of News Corp). Jackson thinks YHOO is worth up to $31. Loeb thinks shares of YHOO have an intrinsic value "in excess of $20 per share." "Our analysis suggests that at a share price of $13.61, with $2.49 per share in tax adjusted net cash, $3.10 per share and $5.24 per share of after-tax values for the Yahoo! Japan and Alibaba Group stakes respectively, core Yahoo is left at an implied value of $2.78 per share or 2.2x 2012 EBITDA. With more effective and focused management, one could realistically envision a re-rating to at least 7.0x 2012 EBITDA, driving a target of over $19.00 per share." Investors feel these assets are not being valued appropriately and that they've been mismanaged. We've detailed the full investment thesis on YHOO in a past issue of our Hedge Fund Wisdom newsletter. Yahoo an Event Driven Investor Graveyard? Earlier in the year, David Einhorn's Greenlight Capital bought YHOO, only to abandon it weeks later out of frustration with developments surrounding the company's stake in Alipay. Corporate raider Carl Icahn had also owned YHOO in the past, only to exit his position. Curtis Macnguyen's Ivory Capital, on the other hand, continues to hold a large YHOO position. And at the end of the second quarter, other large YHOO shareholders included hedge funds Perry Capital and Maverick Capital. Numerous other investors have put capital to work in YHOO, only to see shares slide or trade sideways. While Einhorn exited with a small loss on his position, Loeb currently has a small gain. It will be interesting to see if other hedgies follow Loeb's new activist charge. 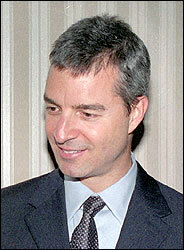 To see what else Loeb has been up to, head to Third Point's investor letter.